The late Celestine Sibley was an American author and journalist who wrote a regular column for the Atlanta Constitution for many years. She also wrote 25 books including the award-winning, Children, My Children. Aren’t children great? What wonderful lessons we learn from their innocent honesty and transparency. No doubt this is what the Lord had in mind in Luke 18:16-17. Jesus’ words are in response to the disciples who rebuked the parents who were bringing their children to Jesus. According to first-century historians, it was customary for mothers to bring their children to a distinguished Rabbi on their first birthday that he might bless them. Apparently, this is what was happening on this occasion. What did Jesus mean? What child-like qualities do we need to enter the Kingdom? (1) Like children, we must come with a sense of dependence on our Father. Children depend on their parents. They need them for physical protection. Daily provisions. And personal attention. In the same way we need God. He, and He alone provides for spiritual needs. Through His eternal plan we enjoy a personal relationship with Him and find our true purpose in life. Child-like trust is almost a proverb. A child’s world revolves around trust. They have no doubt that they will be fed, clothed and every need be met. In the same way, we should eliminate doubt and surrender our lives to the Lord with absolute trust in His promises. Just as a parent is there for a child throughout his life, God is with us on our journey with Him. With Him, we never have to fear. Or worry. Or be anxious. (3) Children have a natural sense of humility that we need to develop. Humility, however, is a forgotten virtue in our day. In fact, it is almost a scorned quality. Often a humble person in our culture is perceived as being weak. cowardly or fragile. (4) Children possess an amazing faculty of forgiveness. Children often get into squabbles with each other. Tears are shed. Fingers are pointed. Accusations are made. But with a little parental guidance, all is forgiven and they’re playing together like nothing ever happened. We can learn forgiveness from little children. Give up grudges. Cleanse your heart of hatred. Learn to say, “I’m sorry.” And truly forgive your friends, family, and brethren of real or supposed slights against you. Finally, Jesus calls us to be childlike, not childish. 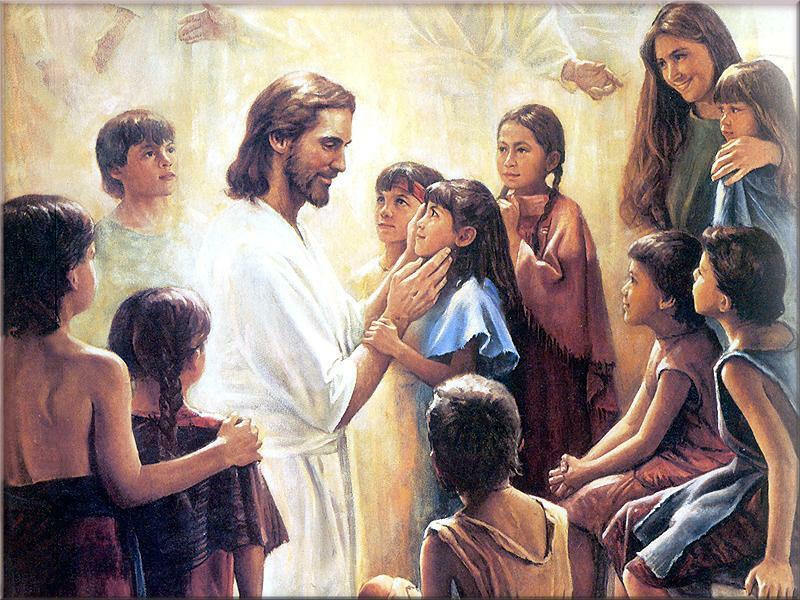 Jesus valued children. So should we. Let us learn some learn some important life lessons from the little children.